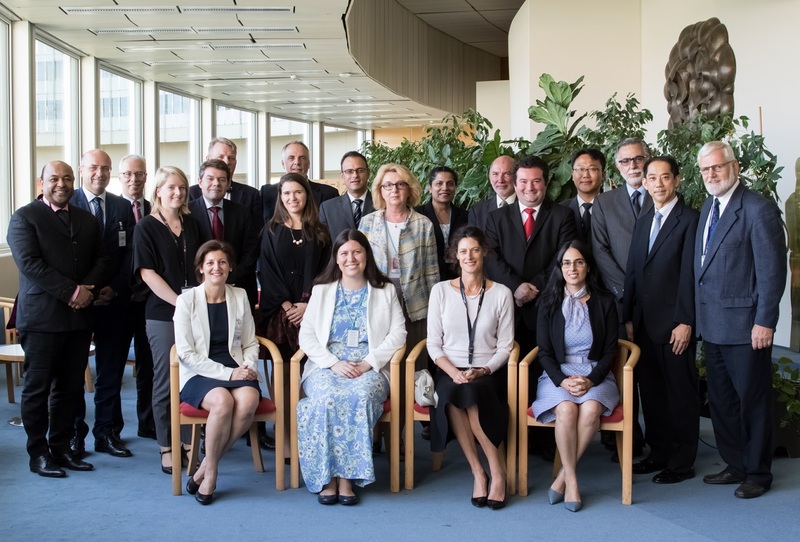 The Steering Team, an expert group of 18 eminent members comprising of ambassadors and diplomats from permanent missions, regional organizations and NGOs, met for the first time on 2 September 2015 in Vienna, putting wind in the sails of United Nations Office for Disarmament Affairs’(UNODA) Disarmament and Non-Proliferation (DNP) Education Partnership. The DNP Education Partnership, as regards its strategic vision, weaves together 4 of the newly adopted Sustainable Development Goals (SDGs) in the Post 2015 UN Development Agenda, thus finding and filling the missing link between disarmament and development. These include participation and empowerment of women and bridging the gender gap in the international work fora of disarmament and non-proliferation (Goal 5: Gender Equality), through the means of creating a suitable online clearing house dashboard of training courses (Goal 4: Quality Education), where curricula on DNP education will be tailored and assembled contributing to peace and justice (Goal 16: Peace and Justice), thus providing new opportunities for employment in the disarmament and non-proliferation field such as the Partnership’s Vienna Forum Job Fair. The Partnership seeks to facilitate access to and promote interaction with service providers of DNP activities, thereby establishing concerted networks between global and regional organizations, NGOs, research, educational centres and other key players in Vienna and abroad (Goal 17: Partnership for the Goals). 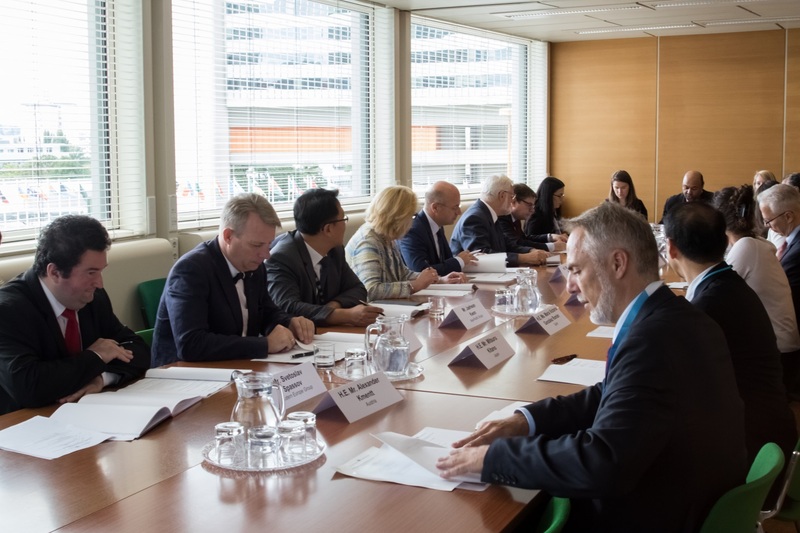 In order to realize this vision, the Team aims to steer the Partnership by providing advice and strategic guidance to UNODA Vienna on ways and means to develop this initiative, brainstorming for overarching strategies, galvanizing best practices and mobilising resources in a comprehensive and coherent vision. While DNP education might be the only non-contentious issue related to disarmament and non-proliferation in general, this Partnership was accorded by the Team members as a timely initiative and as a positive beginning for engaging more women, and getting into place DNP education in national education systems. The Steering Team recommended that the Partnership in the coming months should seek to actively cooperate with and increase participation of youth and academia in Vienna, involve civil society in an inclusive fashion, ensuring and encouraging participation of African State(s) and organizations like UNESCO and others. Another noteworthy advice also was to establish a bank of DNP education material on a single e-platform. UNODA will work closely with the members of the Steering Team in the next months to implement the set of strategic advices made during this meeting, reporting their impact at the next Steering Team meeting in mid-2016.